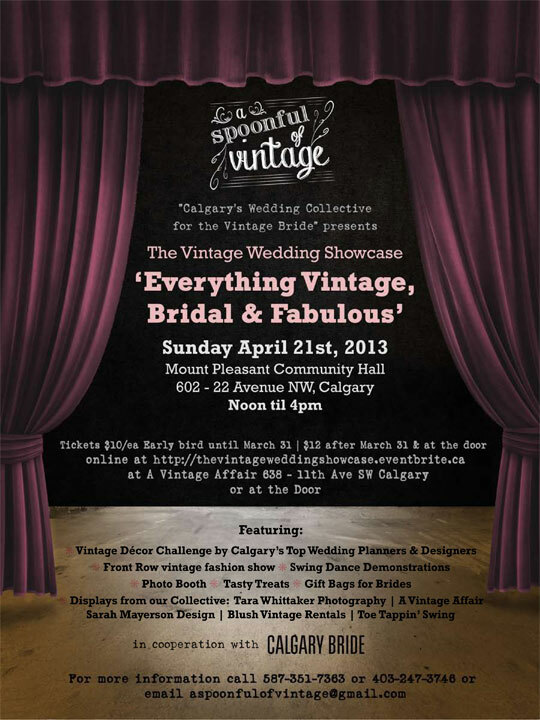 I was delighted to get an email earlier this month from the fine folks at Calgary's Vintage Affair, asking me to promo an upcoming event they're involved in, which takes the whole “vintage wedding” trend to a new level. Now, I must admit that I hate bridal shows. Maybe it's just because I've only ever gone as a reporter and never as a bride, and it's always to shows that push Hummer limos, tanning salons and loud dance music with crazy lights. 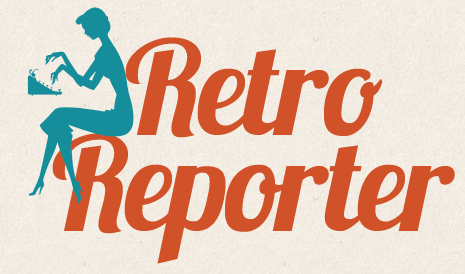 But A Spoonful of Vintage sounds right up my alley! The show will focus on a range of vintage wedding trends, from art deco to mid-century modern inspired themes and everything in between, encompassing looks from the 1900s to the 1960s. "Our mission is to provide brides and grooms a vintage inspired and innovative touch to their modern wedding celebration, while providing personalized and top notch customer service," said Tara Whittaker of Tara Whittaker Photography. "Our clients are people who have a unique charm, whether it is quirky, creative, sentimental or truly off-beat." Highlights of the show include a Vintage Décor Challenge, where Calgary's top wedding planners compete to design the best vintage inspired table tops with movie/tv themes, as well as a wedding gown fashion show at 1 pm, 2 pm and 3 pm and swing dance demonstrations. It all takes place at the Mount Pleasant Community Centre (602 - 22nd Avenue NW. Calgary) from 12 pm to 4 pm. This sounds like a great event, even for a non-bride like me. If you're based in Calgary or can swing a road trip and happen to be heading down the aisle, I strongly suggest swinging by. Thanks Laurie! It's going to be a great event!! Thanks to share great and very useful information. i found here pretty Wedding Dress Here that is appropriate for Bride , i prefer such a lot rattling color combination Thanks for sharing This diary .That is soooo pretty! i like the sq. cut layers. it's simply attractive. i actually just like the cut of the sleeves too! you've got an entire ton of talent. I all could not upset that a lot of layers. :) Thanks for sharing it with us! it's wonderful.